Welcome to the Boar's Head, our historic inn provides a warm and friendly place to eat or drink. This beautiful and traditional 16th century inn is located in the picturesque village of Aust, just half a mile from the old Severn Bridge (M48) and only 15 minutes from the centre of Bristol. 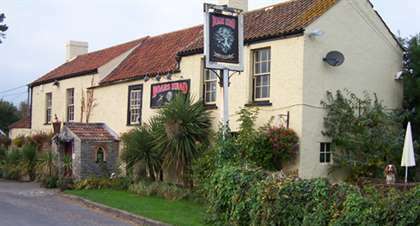 The Boars Head has provided hospitality to both locals and travellers for many centuries and continues to do so today, retaining many of the original features of this historic building. This makes the Boars Head an ideal stop for first class pub food from our extensive menu, or even just to relax and unwind with a quiet drink in our charming beer garden. We’ll keep you updated with great offers, and news of what’s happening here at the Boars Head.